Baby clothing is not cheap anymore. They grow so fast which means they grow out of clothing worn only a a few times. Here are some clothing ideas as well as tips for buying and getting your money's worth. One thing you don’t want to do is to throw away baby or toddler clothing away too soon. Once they begin to lose their baby fat, and get rid of the diapers, you will be surprised as to the amount of clothing that you were going to give away, when they can actually wear it, especially shorts and pants. One piece outfits are done once they get too tight in the crotch area because of body length. Most importantly! You know what your budget is. Don’t go overboard, and simply purchase the best deals. Mix and Match sets will stretch your dollars. When purchasing clothing for infants and toddlers buy a size that is one year ahead of their actual age. If baby is a bit on the chubby side, or has broad shoulders, you will fare well with buying toddler sizes. For example: Baby wears 18 mos but they seem to be a bit too tight or baby has grown out of them in a flash. A 2T or even 3T depending on the cut would work very well and you should get a lot of use out of the toddler sizes. Reebok has some great deals for kids shoes, backpacks, apparel and accessories from infants to toddlers to adult. Check out the Disney collection too! How about the entire family make a group project of Design Your Own! ﻿Sales often start in January. This is a good time to get some great deals on summer and winter clothing. 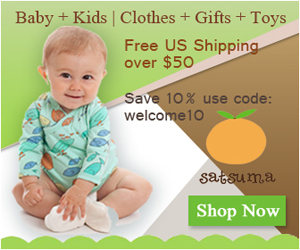 If your baby is 12 months old, buy 18-24 month sizes for summer. You might want to start with toddler sizes for winter if you can get some steals. Lightweight clothing is great for the summer months, and okay for indoors during the winter, but if you can get great deals for heavier materials, go for it because these clothes will be great for cool summer days/nights, the fall, and even winter months. Of course, you will want some lightweight clothing as well for those hot and humid days. During the cooler days and months simply add a t-shirt under their shirt, or a sweatshirt/sweater over top of the thinner top. Summer is coming and this is a good time to begin purchasing summer clothing. There are sales everywhere, and not only are retailers cutting costs on winter clothing, but they are also trying to get rid of excess stock from last year. When buying summer clothing for your infants and kids, you surely want to purchase sun protective clothing and accessories. Even the tiny babies, preemies, need to be kept comfy and wear summer clothing like the bigger babies. Here are some summer outfits for preemies, that will also fit the bigger babies as well. Let your baby, including preemie, be a bit patriotic with some cute 4th July clothing. Babies don’t really need shoes until they start walking. Their heels are not even formed before the age of 2. Feet grow fast, so if you find a bigger size of shoe for your older kids at a good price, they might be worth buying ahead of time, especially if it is type of shoe they wear year round. Learn more about footwear for infants to toddlers.